To create a visual identity for the festival to be shown in all its applications –web, posters & programme. Each event (conferences, cinema screenings, workshops...) has its own poster and therefore they need to feel as part of the same family. 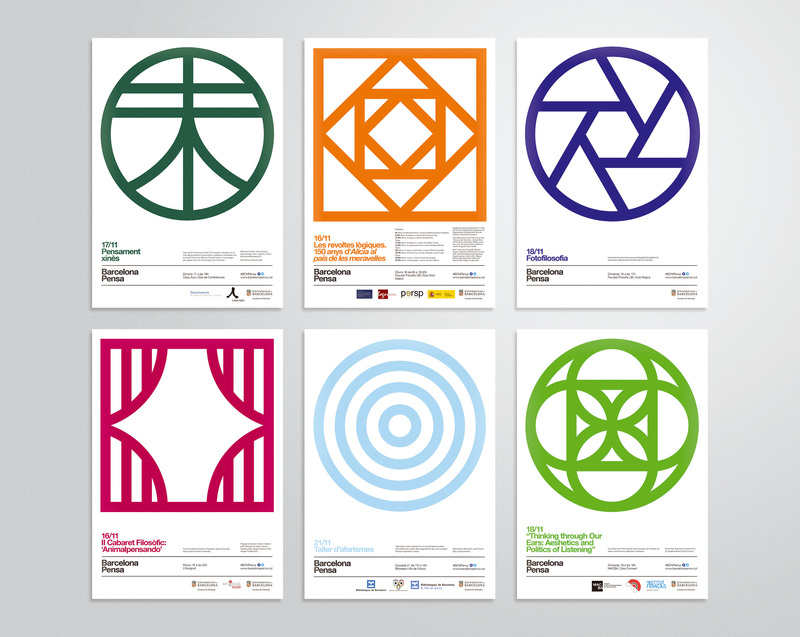 Creating an identity for each of the events using the same abstract language: just one line and color for each visual. The main poster is created as a mosaic of all resulting icons, to show the plurality of events and themes covered by the festival. A visual system to communicate the different events of a philosophy festival. The plurality of symbols created becomes the identity of the festival. Some of the applications created were posters for each event (1200), main poster for the festival (600), graphics for web, programme (3000) and large format banners.